In an era where a great variety of cuisines are just a restaurant away, it has become difficult to choose what to eat. Food products labelled 'healthy'one day are abruptly dismissed as 'lethal'the very next, while 'celebrity diets'are trashed by nutritionists. So what is the correct diet for your body'The answer lies within. In the Yogic tradition, food is alive, with a prana of its own. When consumed, the quality of the food influences the qualities of your body and mind. In A Taste of Well-Being, you will find recipes that have been perfected in the Isha Yoga Centre kitchen. 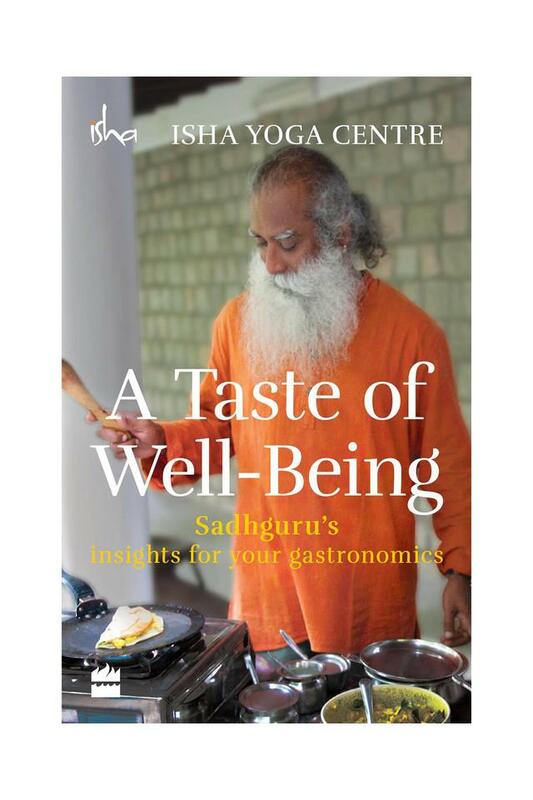 Ranging from simple juices and salads to complete meals of grains, cereals and curries, the recipes are peppered with profound insights from Sadhguru on the process of eating and digestion. A book that will help you discover the potential that lies within you and the joy you can derive from the simple act of eating.